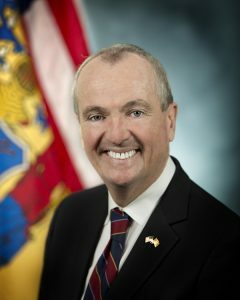 NJ Governor Phil Murphy fulfilled a campaign promise and gave most workers in New Jersey a substantial pay increase. $15.00 per hour will be a reality by 2024, which is just five years away. Governor Phil Murphy, Senate President Steve Sweeney, and Assembly Speaker Craig Coughlin announced an agreement on legislation to raise New Jersey’s minimum wage to $15/hour. This is not going to happen overnight. There will be small pay increases, starting in July 2019. Under the legislation, the base minimum wage for New Jersey workers would increase to $10/hour on July 1, 2019. By January 1, 2020, the statewide minimum wage would increase to $11/hour, and then would increase by $1/hour every January 1st until it reaches $15/hour on January 1, 2024, impacting over one million New Jersey workers. Farm workers will see their pay go to $12.50 per hour. Opponents to this increase believe that this will cost jobs and raise prices. There may be a small price increase but that will be equalized by increased consumer spending. People that make $15.00 per hour will see their wage go up, as you would not pay a medical records coder the same rate you would pay someone that rips tickets at the movie theater, or sweeps floors. Seasonal workers,which are workers that only work during a specific time period would reach $15.00 in 2018. In Seattle Washington, the $15.00 minimum wage was a success. Wages there go up to $16.00 per hour this year. Over 1million workers will benefit from this legislation. If your company is located in another state, but you actually visit the state of New Jersey and work in New Jersey, you are entitled to be paid at this rate, as long as you are doing work in the state. In related news, congressional leaders have drafted a “Living Wage” bill that would eliminate the minimum wage, but would require workers to be paid at least $15.00 per hour. New Jersey was set to enact the $15.00 per hour bill years ago, but it was rejected by then Governor Chris Christie.